Ask For Forgiveness. You’re About to Commit the Ultimate Syn! A brutal battle-to-the-death. Only one warrior will survive-but not before experiencing excruciating pain and suffering. Torture, mutilation, rivers of blood and bestial howls – definitely not for the weak at heart. Real-time, true 360 degree, 3D fighting action. You’re about to face the ugliest fate possible to any living being. Hundreds of complex precision moves and combos. Amazing razor-tight controls. Only the skilled will make the kill! 18 warriors in all, including 2 secret syns. Each with a unique, distinct look, magic, projectiles, lethal weapons and individual fighting styles. “Living” death chambers. You may not die, but you’ll probably wish you did. 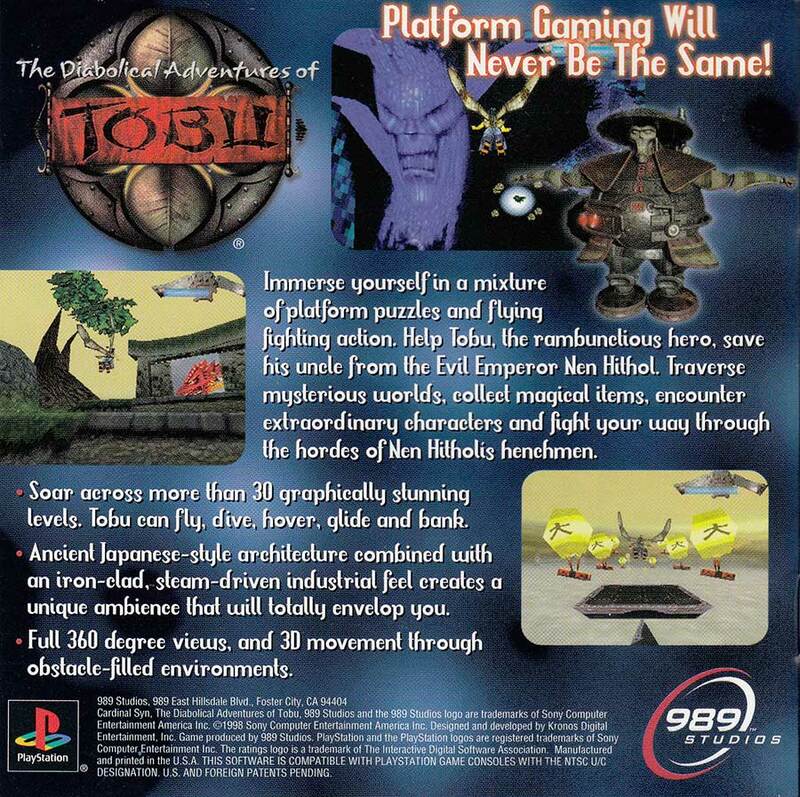 The back of the manual advertises a game that was sadly never released; The Diabolical Adventure of Tobu. Back scan of the manual.